International inquiry says Saudi journalist’s killing was premeditated ‘by officials of the state of Saudi Arabia’. The UN human rights investigator leading the international inquiry into the murder of Saudi journalist Jamal Khashoggi said evidence showed he was a victim of “a brutal and premeditated killing, planned and perpetrated by officials of the state of Saudi Arabia”. 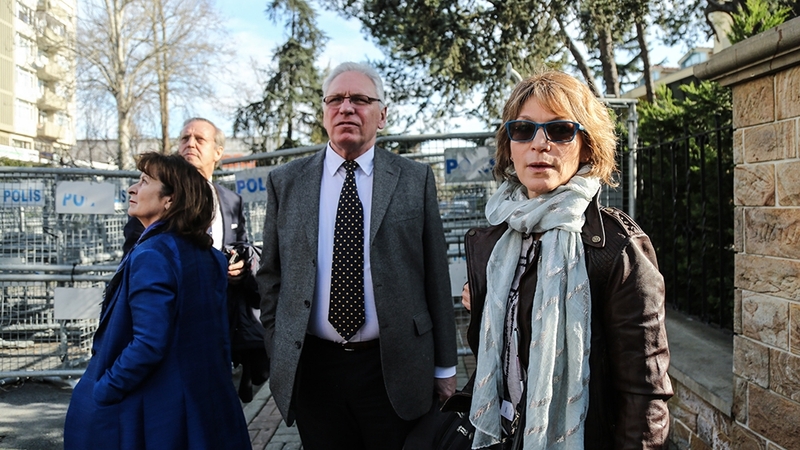 Special Rapporteur Agnes Callamard said on Thursday her three-member team had access to part of “chilling and gruesome audio material” of the murder obtained by Turkish intelligence agencies. Saudi Arabia also “seriously undermined” Turkey’s efforts to investigate Khashoggi’s killing at its Istanbul consulate, said a UN statement. “The existence of those messages between the Saudi prince and Mr Qahtani – who oversaw the team that killed Mr Khashoggi in the Saudi Consulate in Istanbul, according to people familiar with his work – was one piece of evidence cited in the highly classified CIA assessment,” the WSJ reported. A Saudi public prosecutor’s spokesperson said last year 21 Saudis had been taken into custody over the case, 11 of whom had been indicted and referred to trial. Sigurd Neubauer, from the Gulf International Forum think-tank, said it remains to be seen how the UN’s investigation is received internationally, particularly by the United States – the Saudis’ main ally. “This is an extraordinary complex diplomatic game that’s unfolding,” he told Al Jazeera.